Kenya celebrated the fiftieth anniversary of its independence in 2013. 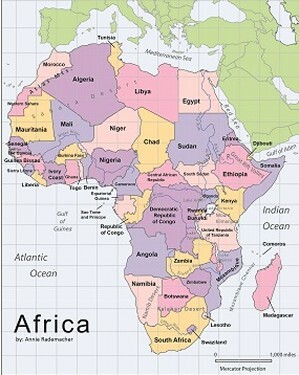 Kenya has the largest economy in East Africa. The violence that followed the 2007 national elections was a very troubling event for those who love Kenya, especially given the nation's importance. The national elections of 2013, however, marked a return to the peaceful transition of government, and most Kenyans are looking forward to the future with confidence. 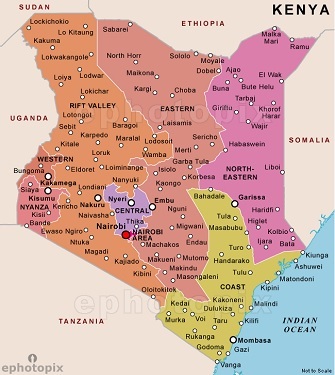 To learn more about Kenya, please click HERE. 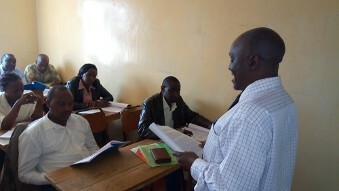 ECLEA personnel did their first teaching in Kenya in June 2007. We returned in August of that year. Since that time, ECLEA has been very active throughout Kenya. 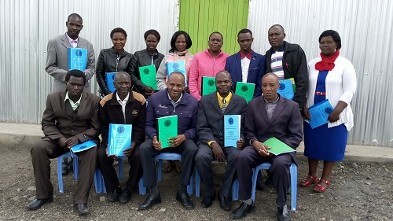 Most importantly, we have established a good and growing inter-denominational and inter-tribal ECLEA-Kenya committee of pastor-teachers. The fact that we insist on being inter-tribal is particularly important in Kenya which has 42 tribes and where, although sometimes unspoken, tribalism is an important issue. 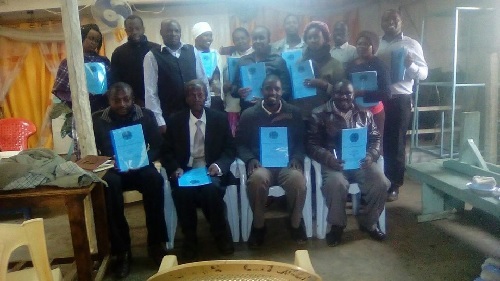 The ECLEA-Kenya team has been the most active of all the East African ECLEA teams in conducting all-African church leader trainings. It was one of the most touching courses conducted by ECLEA in this region. Every one was touched in one way or the other. A few minutes session was devoted for soul searching, identifying wrong doers and deliberating letting it go. It was also a session to forgive self and others. 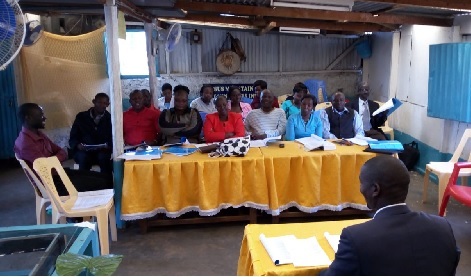 On Oct 24-26 Tom Mboya and I taught Biblical Interpretation to 21 participants at Wanjohi Nyandarua. Rev. 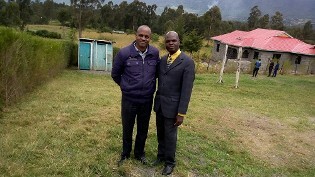 Kiarie said he will be able to teach and interpret in a better way, which will help believers in their church to mature. Rev. Ndiarangu was particularly helped by the teaching to “stay on the line.” Pastor Kanyi was especially helped by the discussion of one’s “framework,” and how we should let the Word of God determine our framework, not the other way around. Pastor Ndirangu echoed the other participants regarding the importance of staying on the line and framework. I am also pleased to let you know that I have been a student with Salt lake College / University of America. They have their center at the Full Gospel Church near our Church in Kawangware. I’ve been doing a Masters in Ministry Program. I've now finished the Program and I will be graduating on 30th November this year. Am also happy to let you know that in my thesis I cited three of your books namely: Biblical Marriage and Parenting, Forgiveness and Reconciliation and Biblical Stewardship and they were very helpful. May the Lord bless you, your family and the entire ECLEA fraternity. 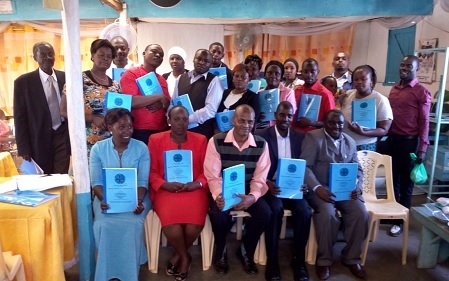 Yesterday I invited Bishop Ernest Mwilitsa to launch the second class at Karatina Central Kenya. 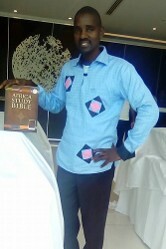 He was the lecturer of the day and taught Forgiveness and Reconciliation very well. 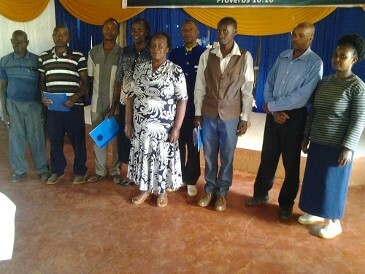 We bless God because of you for making sure that ECLEA courses are taught in all regions of our Country-Kenya. I assure you that I and the other Regional Leaders who have heart for ECLEA will put more effort to make sure that your vision for East Africa Pastors is realized. Today we have covered Biblical Stewardship Course with the first ECLEA class in conjunction with NPBC. We had very healthy discussions that we tackled. One of the Reverends said that man demanded a wife from God, but Michael Taari gave him the right explanation of the original plan that God had towards man and woman. We have already covered 5 units and for two years we will cover 33 units. We bless God for His grace and ECLEA is to live even after we leave this world. Here are picture that I took today after the class. 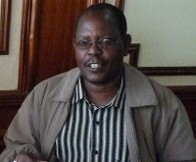 We thank God for the new year,as we move on with ECLEA work here in Kenya. 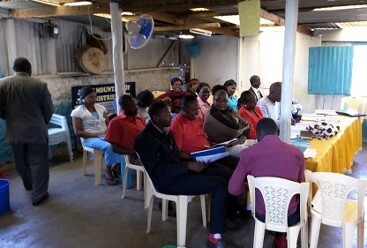 I had an opportunity to teach this January at a class in Karatina on Biblical Stewardship and it was so good. 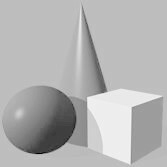 Today I received a comment from one of the students appreciating that I was able to make them understand. Remember these are pastors and Bishops but they had never understood God's work on creation. To be precise, some were saying Eve was created after the seventh day. 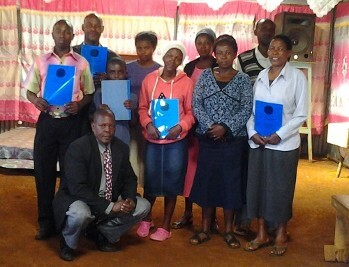 Thank God for ECLEA material; they are of great help to the church in East Africa. 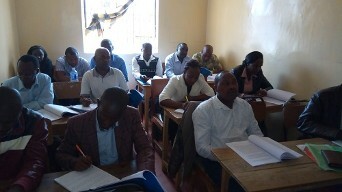 This was our most populous training since we took charge of Nairobi Region last year. After a short inquisitive and engagement with the participants, it emerged that most families are ailing and most came to learn how to go about the myriad issues that so often befall the families. When asked if the same were to be repeated, almost 90% said they would come again. This then clearly shows Marriage & Parenting is one of the key courses of ECLEA and it has gone a long way in healing families. One of the participants, an unmarried young man said that he is privileged to learn theoretically before he gets into marriage. He said he is now more than ready! The five love languages generated a lot of discussion and one pastor’s wife surprised all of us by confessing that touch is a foreign language in her marriage! Though we did not ask her to share more on it, it was clear that they needed these teachings to enhance their marriage. Another said that she had been having a burden to help a certain sister having marital problems since her husband is not born again and she did not know how to go about it. She informed us that she is now well equipped to not only assist that sister, but others as well. I finished my first conference a few days ago. The conference was on THE NATURE, PURPOSE AND MISSION OF THE CHURCH. The majority of the participants were very happy in that they were able to have proper information concerning the original thought of the church. gain the biggest challenge to the majority was how to start a discipleship class, I promised them to together with them and see that we have a starting point. Probably I will have to return to this place later. Attached is a photo of the conference of those leaders who waited until the end of the conference. Last week I had my second conference on the nature, purpose and the mission of the church which ended up to be very effective. The participants interacted so well and with various observations and different perspectives of the Nature, purpose and Mission of the church. Discipleship area had bit of challenge especially in class formation but we promised to meet again and see how we can help one another for this is an important subject and the true Mission of the church. Donate now to help ECLEA thrive! Please visit the Contact & Donations page to support our work with a secure online donation or to mail us a check. 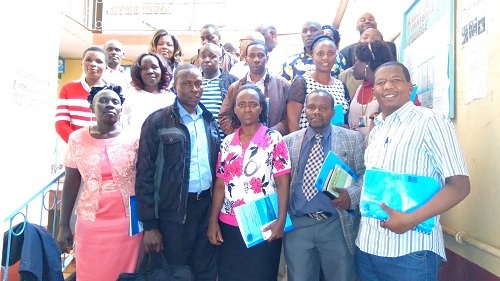 Your tax deductible gift helps equip, train, and empower church leaders in East Africa to promote biblical values and transform lives through the power of the Gospel. Plus, giving online means your gift can be put to work even faster to reach church leaders with practical workshops and encouragement.